You’re about to walk into an important meeting, when suddenly you feel dizzy and you can’t catch your breath. Your hands shake and break out in a cold sweat. Your heart pounds so intensely that it feels like it’s about to burst from your chest. Are you having a heart attack? Though these symptoms can resemble a heart problem, they also can signal a panic attack. Panic attacks throw your body into emergency mode. A surge of stress chemicals gets you ready to respond in the event of a life-threatening danger, even though none exists. 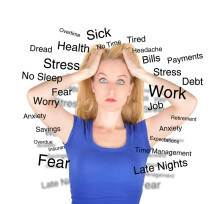 Panic attacks usually start abruptly, and they seem to come out of nowhere. 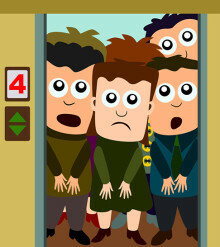 They launch with a sudden surge of overwhelming, intense fear that peaks within seconds or minutes. Panic attack symptoms can include trembling or shaking, difficulty taking a breath or controlling breathing, feeling dizzy or lightheaded, and sweating that is sometimes profuse. Many anxiety symptoms; like a pounding heart, sweating, and chest pain or discomfort, closely mirror those of a heart attack. In fact, the symptoms of these two conditions can be so similar that many people check themselves into a hospital fearing they are in the midst of a heart attack, only to find that what they are experiencing is a panic attack. Other panic attack symptoms that may be unexpected or different include ringing in the ears, feeling very hot or cold (or alternating between the two temperature extremes), and numbness or tingling in the extremities. A feeling of impending doom, like you’re about to lose control or die, is also common among panic attack symptoms. 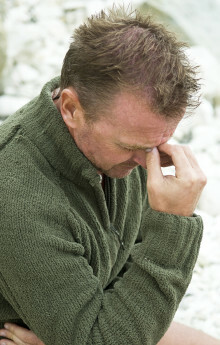 Although most panic attacks last just a few minutes, some people have repeated episodes. These lengthier panic attacks can last for hours, with intense feelings of anxiety between the episodes. Anxiety comes in different forms and produces different reactions. So to answer the question “What is anxiety?” we’ll take a look at various anxiety definitions, discussing causes and characteristics. Is there anything more frightening and scary than suffering a panic attack? Even the thought of having one often can be enough to set off panic sufferers. But exactly what is a panic attack? And, more important, have you experienced the symptoms of a panic attack yourself? Probably the No. 1 thing you can do to relieve stress and deal with anxiety symptoms is to learn breathing exercises. When you’re anxious, you naturally take quick, shallow breaths. This actually worsens your anxiety and creates a vicious cycle that can lead to panic attack symptoms.